Engineer to order (ETO) product companies must have the means to provide sales teams with quality product information without delay. The failure to provide good quality product information may be losing the company business and adding to sales cost. It is not sufficient for sales teams to use generic information, or to ask the customer to wait while engineering prepares product details. The sales cost is greater for companies suffering from low order conversion. Low order conversion rates increase the urgency to reduce sales cost. Technically and commercially accurate quotations are of paramount importance to be competitive. By working differently, companies can reduce sales cost, reduce time to prepare quotations and lessen the opportunity for error. Without immediate access to quality information, Sales will take longer to prepare customer quotations. Companies receive fewer sales opportunities with the reduction of enquiries processed. Alternatively, some companies may employ more staff increasing sales cost further. Low order conversion increases the cost and opportunities lost. Sales cost is often difficult to monitor. 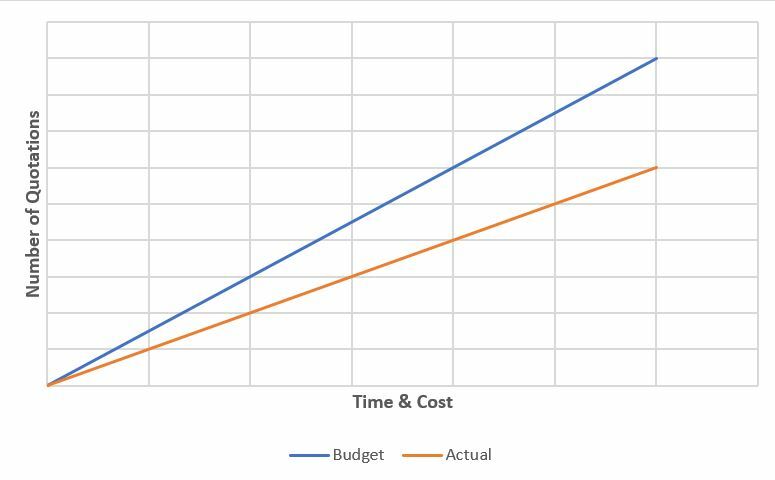 Although rarely recorded, engineering and production teams incur cost supporting sales work. In the absence of good quality information, Sales use many methods to prepare solutions. A previous project may appear to be a suitable source of information. However, this information is always out of date and likely to contain many inaccuracies. On occasions, Sales request product details from Engineering. This work typically assumes a high priority and is unscheduled. Engineering provides the information required at the expense of delaying scheduled work which can lead to late deliveries and customer dissatisfaction. During the transfer or processing of information, there is an increased risk of error. Checking procedures are used to reduce the impact of these errors which add further delay and sales cost. Additionally, variations occur with the involvement of different people, leading to slight changes in the design or components used. These variants may add to the product complexity, increasing inventory and uncertainties in the product performance. ETO companies can work far more efficiently once a product is designed for configuration. Quality information will be immediately available to the sales team without needing engineering support. The impact of low order conversion is reduced, as the time spent processing a customer quotation is greatly reduced. Sales cost and the number of errors generated is significantly reduced. Configuration does not necessarily require sophisticated product configurator or design automation software. A configurable product will significantly reduce sales cost, improve quotation time and save errors. To achieve a configurable product, create a product standard reference library. Ensuring that the standards are complete, accurate and contain all the data required by all stakeholders. Depending upon product complexity, it is very likely that the product should be created using product standardisation principles. No further engineering is needed, reducing sales cost, quotation time with a reduction of risk. Gatehouse Design are specialists in product standardisation, product configuration and design automation. We can help companies develop highly effective product strategies, maximising profitability, productivity and customer satisfaction. We can help you reduce sales cost and improve the efficiency of your business. Please contact us to discuss any product design related issues that you may have. Written by Peter Slee-Smith 15/05/2018.